This list is neither all-inclusive nor is it meant to serve as an endorsement. Some of references will be of minimal value to the food entrepreneur, but I have included them on the outside chance that one of you might be interested. Also, many of the associations are completely irrelevant to microenterprise food entrepreneurs. We will let you decide. The American Wholesale Marketers Association (AWMA) is the only international trade organization working on behalf of convenience distributors in the United States. Food Retailing Review, Food Mergers & Acquisitions, Complying with the Nutritional Labeling & Education Act, Food Markets in Review, Supermarket Analysis Series, and many more. The Food Marketing Institute is a nonprofit association conducting programs in research, education, and public affairs on behalf of its 1,600 members, composed largely of multi-store chains, small regional firms, and independent supermarkets. GMA is a trade association of the manufac­turers and processors of food and non-food products sold primarily in retail grocery stores in the United States. Readers may wish to request a copy of their 2007 report “E-Commerce Opportunities in Direct Store Delivery.” There is no charge for this, and the report can be obtained on line at: www.gmabrands.com at their publica­tions page. IFA is the world’s largest and oldest organization representing francising. Its mission is to enhance and safeguard the business environment for franchisors and franchisees worldwide. The National Association for the Self-Employed is the nation’s leading resource for the self-employed and micro-businesses, providing a broad range of benefits and support to help the smallest businesses succeed. The National Business Association is dedicated to assisting the self-employed and small business community by using its group buying power to provide tis members support programs, cost and time saving products, services and valuable small business resource materials. A primary scientific and technical associa­tion of the food industry, the National Food Processors Association (NFPA) has more than 90 years of experience and expertise in food issues. NFPA members manufacture the nation’s processed/packaged fruits and vegetables, juices and drinks, meat and poul­try, seafood, and specialty products. The Food Processors Institute is the non­profit education arm of the NFPA. Its pri­mary educational goal is to provide a curric­ula of workshops, seminars, materials, texts, and leadership training in support of the food processing industry. Member dues in NFPA start at $3,000 per year and go up, depending on member com­pany annual revenues. The Organic Trade Association (OTA) is the membership-based business association for organic agriculture and products in North America. OTA is the leading voice for the organic trade in the United States, representing over 8,500 organic businesses across 50 states. Its members include growers, shippers, processors, certifiers, farmers’ associations, distributors, importers, exporters, consultants, retailers and others. Organic products represented include organic foods, ingredients and beverages, as well as organic fibers, personal care products, pet foods, nutritional supplements, household cleaners and flowers. The Southern Foodways Alliance is an institution of the Center for the Study of Southern Culture at the University of Mississippi in Oxford. The SFA is a nonprofit business trade organization that has been fostering trade, commerce and interest in the specialty food industry since 1952. It has more than 12,800 U.S. and overseas members composed of food manufacturers, importers, distributors, and brokers involved in marketing specialty foods and beverages, fine confections, wine, cooking accessories, and publications. 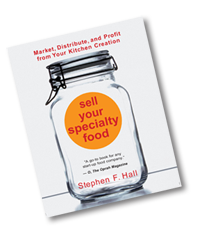 The association sponsors two major annual trade shows and an educational conference, and monthly publishes Specialty Food Magazine, which tracks industry trends, presents processor and retailer profiles, and pertinent government rules and regulations. Cheese Importers Association of America, Inc. The Eastern Perishable Products Association, Inc.
Every state has a dairy council and if you visit the website listed below, the state’s contact information will display.. The Cocoa Merchants Association of America, Inc. Tea Association of the USA, Inc/Tea Council/Specialty Tea Institute.